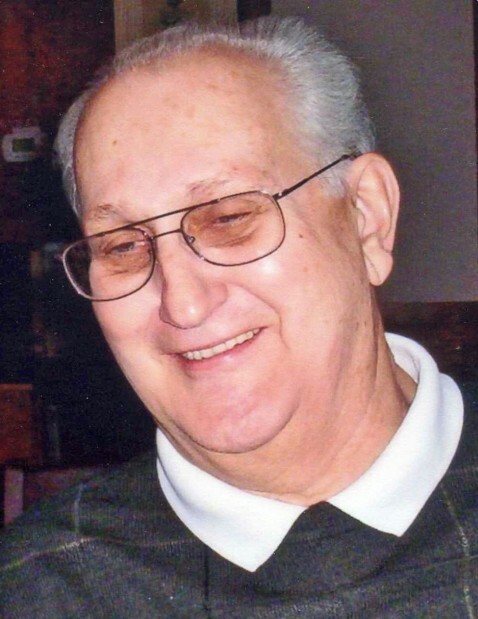 Anthony S. Masarik, 81, of Jeannette, died Monday, Nov. 19, 2018, at home. He was born July 22, 1937, in Greensburg, a son of the late John and Katerina Prascek Masarik. Anthony was a retired computer draftsman for ABB South Greensburg. He was a member of Our Lady of Grace Church and served in the Army during the Berlin Conflict. He was a self-taught "jack of all trades" and could fix just about anything. In addition to his parents, he was preceded in death by his infant brother, Paul Masarik, three brothers, Frank, John and Joseph Masarik; and his sister, Ann Evans. He is survived by his loving and devoted wife of 57 years, Barbara A. Wisneski Masarik; three daughters, Linda and Teresa Masarik and Sue Plevelich; two grandchildren, Michael Anthony and Katerina Plevelich; and numerous nieces and nephews. Relatives and friends are invited to celebrate the life of Anthony from 4 to 8 p.m. Friday in the CLEMENT L. PANTALONE FUNERAL HOME INC., 409 W. Pittsburgh St., Greensburg, PA 15601, 724-837-0020. Parting prayers will be held at 9:30 a.m. Saturday in the funeral home, followed by a funeral Mass to be celebrated at 10 a.m. in the Our Lady of Grace Church. Interment will follow in Twin Valley Memorial Park, Delmont. Anthony's family has entrusted his care to the Pantalone Funeral Home Inc., Greensburg. To share your memories and photos, offer your condolences or for directions, please visit us at www.pantalone.com. Natale N. Pantalone, supervisor.